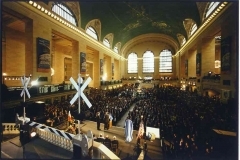 Event Design Grand Central Terminal Re-dedication Ceremony | designscape, inc. 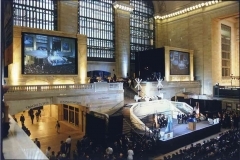 The historic railway station was being renamed as Grand Central Terminal with a re-dedication ceremony following a total interior makeover and restoration. Over 500,000 people attended the event. 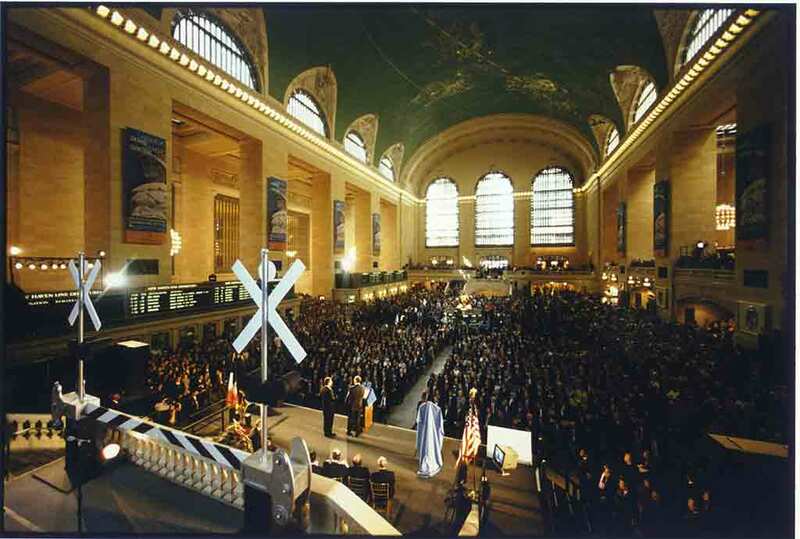 Designscape handled the space planning and staging for the re-dedication ceremony. Instead of a mundane ribbon cutting, we created a “working” scenic railroad crossing gate that flipped up on cue from the governor. 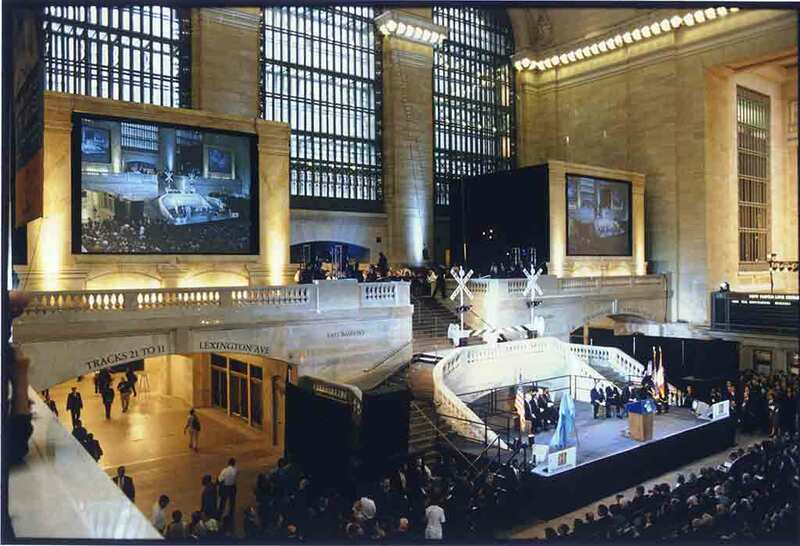 We created two 40-foot architectural screen surrounds with faux travertine marble to resemble the restoration and beauty of the Grand Central Terminal. 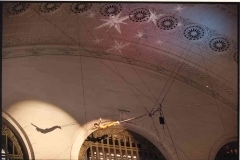 All planning and staging had to be approved by 17 different railroad organizations having jurisdiction along with Fire and Police approvals.